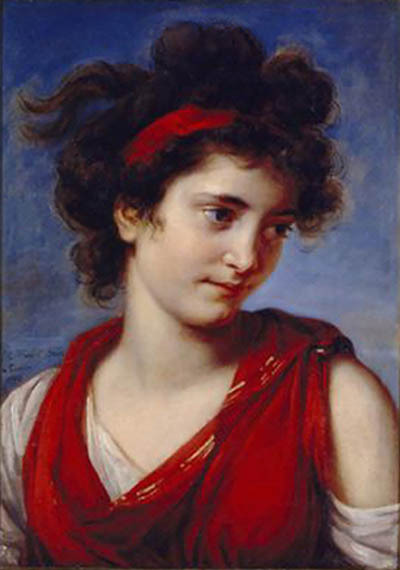 Painting is in Turin where it was painted by Vigée Le Brun. Same period as Julie as a Bather. Her father was Carlo Antonio Porporati of Turin (1741-1816), the engraver and portrait painter. 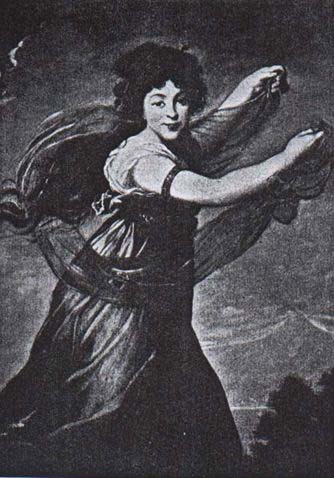 Pelagia-Roza Potocka (1775-1846) first married to Prince Franz Sapieha-Siewierski (1772-1829), then married to Prince Paul Sapieha-Kodenski (1781-1846). 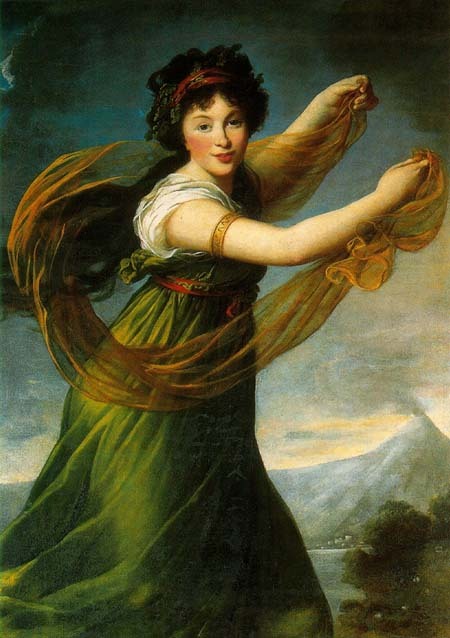 Display card next to painting: Marie Louise Elizabeth Virgee-Lebrun, Portrait of Pegalia Sapieha nee Potocka, c. 1794, Fot. M. Bronsarski. 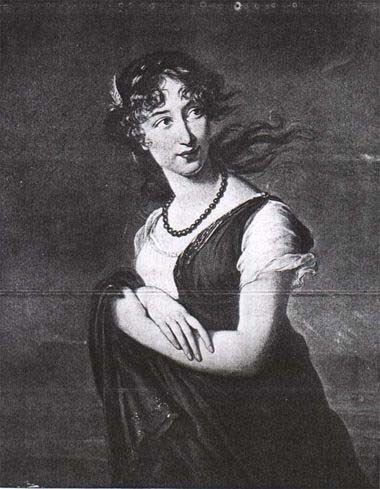 The original black and white on the site is different and may actually be a copy by or after Vigee Le Brun.